Woods-Murphy is a Spanish teacher entering her 34th year of teaching, currently at Northern Highlands Regional High School in Allendale, New Jersey. 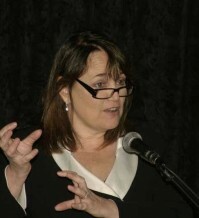 In 2011, Woods-Murphy served as a Teaching Ambassador Fellow in the Office of the Secretary at the U.S. Department of Education, working primarily with Jo Anderson, the Secretary’s Senior Advisor for Labor/Management collaboration and by designing direct outreach to teachers, particularly through the RESPECT Project. After her year in D.C., Woods-Murphy is actively teaching, while serving as an America Achieves Fellow with a group of exemplary teachers and principals, nationwide. In her free time, Woods-Murphy is pursuing a Ed.D in Teacher Leadership at Walden University or enjoying precious moments with her husband Joe, children and granddaughter, Olyvia.